The Giana Sisters are back! Wait.. it’s a racer? We look at Giana Sisters: Dream Runners and see what’s happening with the classic platforming franchise. Our fondness of the Giana Sisters goes back almost thirty years – and yes, that makes us old. Not having an NES when growing up meant the closest thing to Super Mario Bros was playing Great Giana Sisters on the C64. The platforming was excellent, the art style so close to the NES original that lawsuits quickly followed, and the music…. Ah, the music. Perhaps one of the most iconic soundtracks from that era, especially for C64 owners. Ports to several other systems followed, but then the series disappeared out of sight for about twenty years. We saw a Nintendo DS version pop up (a great platform to launch on if you consider the franchise’s history) and two more recent games (Twisted Dreams and Rise of the Owlverlord) that are among the best straight up platformers in recent year. Now we have Giana Sisters: Dream Runners, which does things a little differently. Dream Runners isn’t a straight up platformer – it’s mainly a “platform racer”, which we’ll talk about in more detail soon. 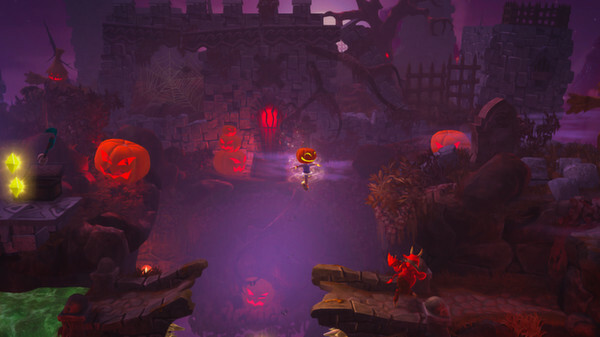 You can still go through the levels as though it were a regular platform game, but you’ll quickly find that they’re lacking in terms of level design and fun – for the simple reason that they weren’t designed for this purpose. What they were designed for is racing. Up to four players can race through the levels from left to right, trying to outrun one another. While doing so, they can drop traps and use powerups – Mario Kart style, so to speak. A race is decided in two phases: when one player lags so far behind that they ‘fall off the screen’, he or she gets eliminated from the race. That’s when phase two kicks in – a timer that, when it runs down, determines who gets awarded first, second and third place. This works well in making sure the eliminated player isn’t stuck waiting for an eternity to play again, so we totally get that design decision. Other parts of the game, however, don’t seem as well developed. While the dynamic works well for the last player in the race when he gets kicked out, being out in front is rarely strictly a good thing. Being so close to the right edge of the screen means that (unless you’ve played the stage many times before) it’s hard to see what’s coming up, leading to moments of frustration when you become the victim of your own success. So the platforming isn’t up to the level of the previous games, and the racing has more frustrating moments that we’d like. Luckily, part of the Giana Sisters charm is still there. 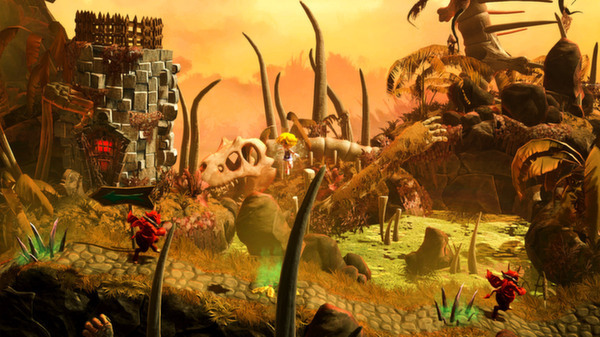 The artwork is as colorful as ever, and the soundtrack is once again excellent – featuring reworked versions of music from the previous games as well as new material. It’s not nearly enough to make this as good as Twisted Dreams and its sequel, but at least it made us overlook some of the flaws for a while and enjoy some Giana Sisters once again. Let’s hope we can attach the original’s “Great” to our review of their next adventure again though, because we can’t honestly do that this time around.